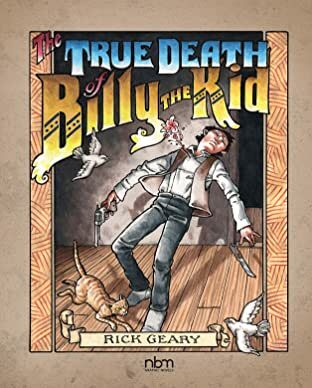 Being an authentic narrative of the final days in Billy the Kid's brief and turbulent life.' 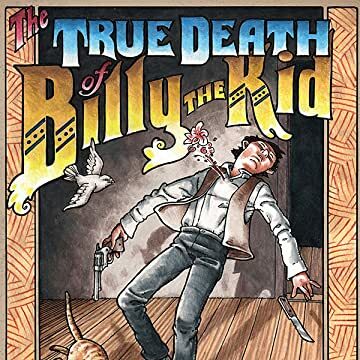 One of our folk legends of the great Wild West, William H. Bonney went from cowboy and gunslinger for a rancher to pure outlawry forever dodging justice in New Mexico when it wasn't even a state. On the one hand, he was charming, fun-loving –often at social events like dances-, quite appealing to the ladies. Also conversant in Spanish, "Billito" was popular with the Spanish speaking crowd. On the other hand, he had no compunction to coldly kill a man, a sheriff, a deputy, anyone who got in his way rustling cattle or horses for an illicit living. He also proved hard to keep in jail even when caught. It is probably his feats of derring-do escaping from jails that made him most famous and this is the main subject of this biography following him until he is shot in pitch darkness by lawmen obsessed with getting rid of him.